My dad has more than once said if you want to make yourself really miserable think about all the dead dogs in your life. I don’t think I agree with him. A life measured in dogs can only be a happy one. Sure, there is tremendous grief in losing a loved family pet, but when you think about all the tail-wagging good times it’s impossible not to be thankful and grateful and send up a little prayer to … dog. My dad has lived a 12 dog life. The first was a kind of wiry terrier cross just made for little boys. Dippy taught dad the first lessons of mateship, but also – that shocking day when that early car came belting round the corner and didn’t even stop – about the callousness of his own kind. 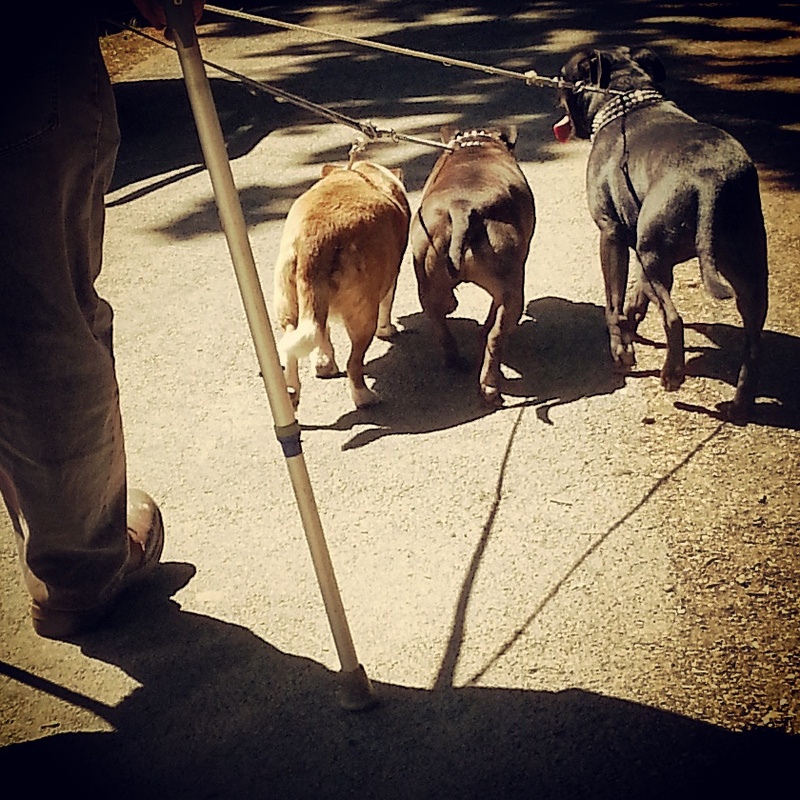 There were dogs of various breeds, sizes and mixed merits who followed. Peter the first dog of his marriage, Jack who worried sheep, Topsy a fox terrier who arrived after my birth and was a family fixture for almost 15 years. Some were daft like Rabbit, so called because she’d spring through tall grass on cabriole legs and liked to eat capsicums from the vegie patch. Laddie, at best guess a corgi shepherd cross, was highly independent. A neighbourhood character who worked a beat of cross-species friends around the town. Bluebell was a soppy blue heeler who loved to nip ankles, Lucy a slothful dachshund inherited from a neighbour who was moving into a town house. All have taught us something, all have left furry impressions in memory, but the last three dogs have almost been been preparing us; providing as it were pawprints for what lay ahead. Beautiful Bonnie, I think my parents’ favourite of their canine kids, had found a home with them when her original owner died. She wasn’t terribly young when she joined them and in the end she was crippled by painful arthritis and it was kindest to put her down, though it broke both mum and dad’s hearts. They vowed they would never have another dog until they were moving back home to country Victoria and we found one for sale for $225,000 who happened to come with a three-bedroom house. Mick, his original owners had determined, was too old to be rehoused – so he was sold as a tenant in residence. He was still living there when mum moved permanently into a nursing home. But at the great old age of 17 he too had to be put to sleep. Dad, rattling around alone at home, was persuaded to adopt a Jack Russell. Boy was his last little mate, before dad too became so frail he could no longer walk and this month moved into the same high-care home where mum spent the last years of her life. This dog has been rehoused with a wonderful couple with two handsome young sons called Spike and Mo and a nutty whippet called Orson. They have been keeping us updated with videos and pix showing Boyd, as he is now called, clearly in seventh heaven. Boyd without question will outlive his former master, but it does all our hearts good to know this dog – the last dog of our dear dad’s life – will go on to inform the lives of others as they too grow to men.